STRONGblog: What's Next for RAD 7.5? What's Next for RAD 7.5? I'm participating in Portal 6.1 training today. Good stuff. 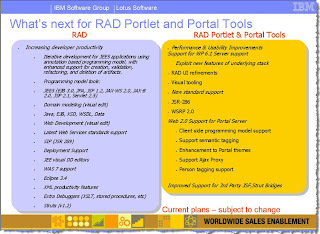 Here's a screen cap from one of the presentations which shows what's going to be new in Rational Application Developer 7.5 and WebSphere Portlet Factory 6.1. 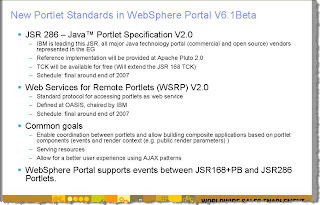 The biggie is support for JSR 286, the new Portlet API.